Captain Larry Rooney currently serves as the President of the Coalition of Airline Pilots Association where he brings real world, hands on experience to his lobbying efforts on behalf of the pilot profession. A 35-year veteran of the Airline Industry with an extensive background in Aviation Safety, Training, Security and Domestic and International Flight Operations. Captain Rooney has a proven ability to bring operational background and technical insight to issues concerning flight training and systemic safety. Captain Rooney comes to CAPA from the Allied Pilots Association (APA) representing the pilots of American Airlines where he is a member of their Government Affairs Committee. He had previously served as the Chairman of the Accident Investigation Committee, Vice Chairman of the Training Committee and an active member of the Safety, Violations and Government Affairs committees for the US Airline Pilots Association before their membership consolidation within the APA following the merger of American Airlines with US Airways. 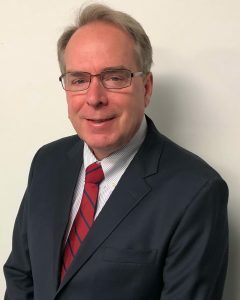 Captain Rooney has served as a designated representative on various Aviation Rule Making Committees including the Air Carrier Training ARC, Passenger Hazardous Materials Notification ARC, Harmonized FAA/ICAO Loss of Control Avoidance and Recovery ARC, and the FAA Management Advisory Counsel. An Airline Transport rated pilot and current Airbus Check Airman for American Airlines, he has logged over 18,000 flight hours and is type rated on the Airbus 319, 320, 321 as well as the Boeing 737, 757, and 767. Additionally, he is a Human Factors Instructor for the airline’s Initial and recurrent AQP training programs. Captain Rooney has served as a Technical Expert on Aviation related issues and participated in TLC’s production of “Brace for Impact” the Chesley B. Sullenberger Story as well as being a featured character for his pilot advocate work in Clint Eastwood’s film “Sully”. In addition, he received published recognition for his investigative contributions in the NY Times best seller “Highest Duty”. Captain Rooney holds a Bachelor of Science degree in Air Commerce from the Florida Institute of Technology. A native of New York City, Captain Rooney currently resides in beautiful Bucks County Pennsylvania with his wife Trish and son L.J.